During the White Awake workshop described in the two previous essays, we were encouraged to mend the fabric of the inevitable disconnection with our ancestral roots. When I did, I began to realize why my family had been silent about their histories. Not only did I encounter their overwhelming religious persecution, but I began to understand my grandparents’ abject rejection of speaking about anything related to the old country, as they desperately tried to embraced a whole new culture of becoming Americans and all that meant to them. For them, it was about basic survival – a new beginning in a new country. Severing ties from everything that was familiar to them, including their parents, aunts and uncles, their grandparents, and their whole way of life was a prerequisite. 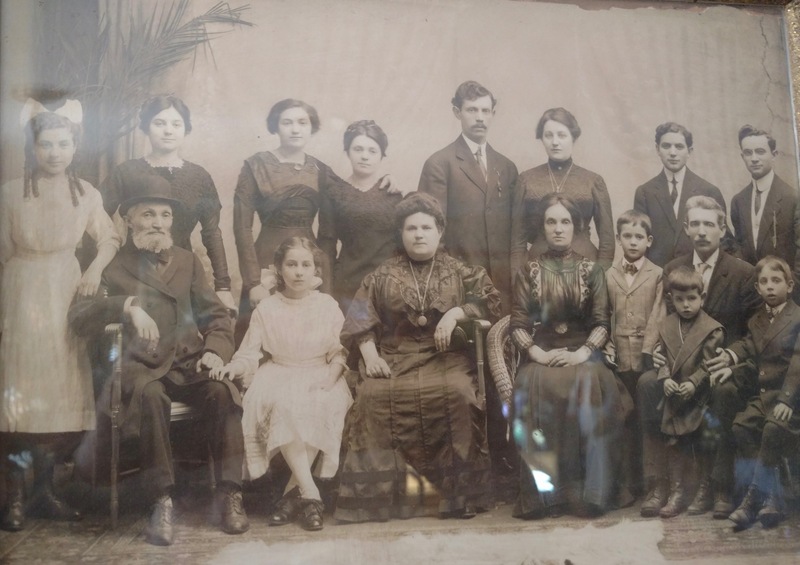 During the late 1800s in Lithuania, pogroms (organized massacres targeting Jewish communities) were instituted which resulted in mass emigration to America. Some emigrants chose acquiescence, desperately wanting to assimilate; whereas some who had become revolutionaries in the old country brought that energy of resistance to America. The latter group had sought to unite all the Jews in Lithuania in a class-based fight for social reform. 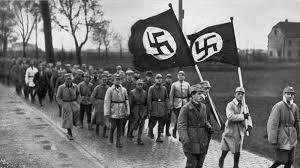 They had organizing to demand: an improvement in living standards, a more democratic political system, and the introduction of equal rights for Jews. They were revolutionaries, socialists and communists. My grandfather brought these ideals with him to America. In his 80s, my father first acknowledged to me that he had gone to the Workmen’s Circle, a socialist camp during high school. He explained that there was a communist camp and a socialist camp and he attended the latter. I wish I knew then what I know now. I would have told my grandfather that, perhaps through osmosis (or DNA), I had received the teaching that hatred of other, whether expressed as racism, classism, sectarianism or anti-Semitism, was something to fiercely resist against! I would have told my grandparents that their suffering was not in vain, that I got the message. My whole life has been about dispelling hatred in myself and others. And now, in the 21st century, many of those socio-political issues are still present and growing. Dad, you prepared me well. Although, I didn’t understand all of what our ancestors endured when we had this intimate, revealing conversation just a few years before he died, I did begin to piece together why our home was secular, devoid of God. Many of the revolutionaries from Eastern Europe who had experienced such trauma became atheists, at least my father, and I suspect, my grandfather did. I don’t know how this trauma manifested in his older brother Azer, the firstborn, born into a family of immigrants, trying to piece together new lives amid the catastrophic trauma from which they fled, to carry-on in America. The firstborn often carries more weight than the other children, more responsibility, and more of the raw, direct trauma from the parents and grandparents, whether physically present or not. My grandfather, who arrived in America around the turn-of-the-century, was a craftsman who built furniture and started selling his creations and used furniture along the railroad tracks in Pennsylvania where the trains would bring them to his storefront. My grandmother was more of a pragmatist who chose to not eat their limited rations during the Great Depression so her children could. After bankruptcies and dire survival struggles, my father began working with his father while still in high school. As I mentioned in the previous essay, I suspect my father (who was a bit of a mama’s boy) rejected his father’s ideology and became a capitalist to save his family. He would sacrifice a great deal not have his siblings, wife, or children starve as his family had. With a high school education, my father provided for his family and left a legacy of abundance and philanthropy, not scarcity and financial hardship. I suspect he rejected his father’s gentle, humanistic way of being and saw it as passivity, and maybe it was, as trauma can take the form of immobilization. I see these polarities of capitalism versus socialism, revolutionary versus pacifist in myself. During our present, tumultuous times, having this internal conversation between the polarities of ourselves is necessary preparation for contemplating how we want to express ourselves, both personally and politically. Understanding our ancestry is an important part of our identity. If you understand epigenetics, trauma from previous generations actually can change the expression of our DNA and manifest in devastating and mysterious ways. For an interesting article click here. When I knew him, my grandfather had advanced Parkinson’s disease. Having been the only two people in our family with progressive neurological illness, I have developed a kinship with him that only increases as this illness progresses. I can viscerally imagine the despair this loyal, enormously strong man felt as his body began to fail him. He was known to have carried an iron woodstove up a staircase by himself, something no human I know could accomplish. As his body weakened, he had to surrender to his somewhat caustic, but faithful wife who likely didn’t understand how past trauma may have manifested in herself and her husband. I remember my grandmother’s fierce loyalty caring for her husband as he grew more disabled and her unwillingness to place him elsewhere, regardless of the excessive demands on her. Love and trauma, trauma and love. There are no heroes or villains in this Sacred Work that is Life. I consider myself spiritual, but not religious. I dutifully attended Hebrew school and synagogue in my early years, but there was little continuity at home which seemed to reveal a fracture I didn’t quite understand until later in life when my father finally admitted to having been a staunch atheist his whole life (until his death which I described in previous essays – our most intimate moment). I found the Old Testament scary, presented by a rabbi who had little rapport with children. A punishing, threatening God was more of the stuff of my worst nightmares than a power that informs and heartens me. When I later learned of the atrocities perpetrated in the name of the church, this further reinforced my resistance to organized religion. The Jesus that was talked about in my early years, the prophet who was killed by Jews, created further shame in me for being different, for being Jewish. Always having been a spiritual person by nature, the more mystical aspects of Judaism appealed to me when I later studied Kabbalah. I found that the mystical aspects all major religions seem to converge at the same point, the point where Jesus and other masters spoke from – Love. When we live from the soul, there is no other; there is only We. The spirituality that I gravitate to is inconclusive, profoundly compassionate, deeply mystical, and emanates from my heart and not my head. That being said, I came to realize through the workshop that I had blatantly and aggressively rejected all aspects of the religion in which I grew up – the baby with the bathwater – and with that I had rejected significant parts of myself and my lineage. The facilitator explained our relationship with our ancestors brilliantly – like with any intimate relationship, if one person has not achieved wholeness, they are like two halves of a whole, but two whole people can move past duality and co-create. Today, we live in a world where capitalism has run amok and we have forgotten how to take care of each other. We have work to do. I am so grateful to stand on the shoulders of those who went before me, to reintroduce myself to them. The courage, the grief, the fortitude is quite a legacy they left for me to recover, by my willingness to feel shame and grief fully. This is what I contemplate when I sit at my altar to my ancestors. Zayde means grandfather in Yiddish. The few stories I’ve been able to collect of my grandfathers’ fathers are scant, but tender, and the stories about the women in my family are even more limited. The photograph above is Zayde Rosenthal who became a widower and married a second wife. I always felt strangely drawn to this photograph. Perhaps it was because my Aunt Paulie, Zayde’s eldest daughter sat at her antique Singer sewing machine and told me stories of the old country and their desire to come to America. Aunt Paulie came first and worked in sweatshops in lower Manhattan to bring her siblings to America. Although I felt riveted by the stories, I never detected any grief or had any idea about the trauma they carried, that is, until it all began to unfold for me last week. During the White Awake: Before We Were White workshop (link in Part One), we were encouraged to create an altar to our ancestors. The purpose was to reestablish a connection that had likely been broken. Each individual’s journey during this process was unique, many perilous, requiring much courage to face the trauma that caused the disconnection, but all were deeply meaningful, filling in the dots of our ancestral stories that would have been lost forever. 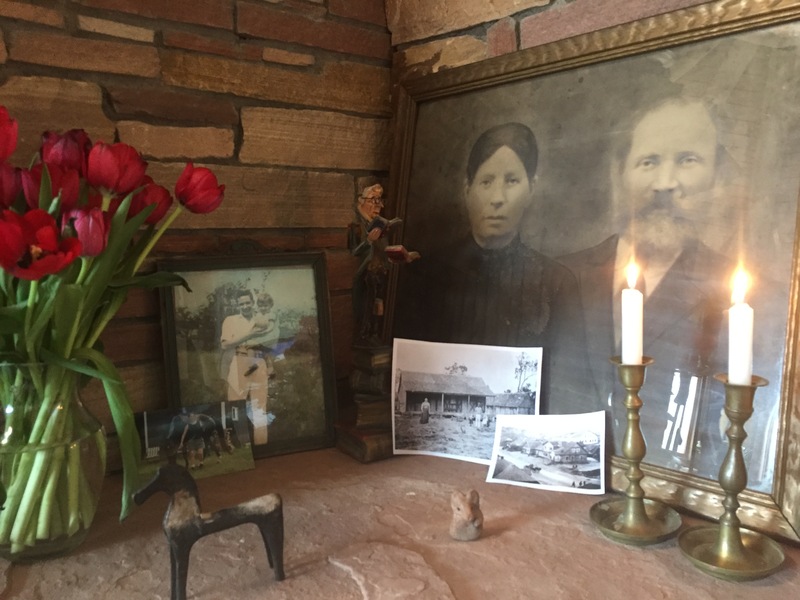 I was surprised how satisfying it felt to construct my altar and feel a yearning to learn more about my ancestors’ history. Upon noticing my newly arranged altar, someone told me that I looked like my maternal great grandfather! Until then, I had never considered there might be a resemblance or even a direct bloodline between the strangers in the odd photograph that graced my grandparents’ central room in their meager Bronx apartment during the late 1950s. I was told that they had never left Eastern Europe – that they never made it on the boat. To have a photograph taken during that time period in Lithuania, they had to stand for a long exposure requiring a brace to hold their heads still. As I look at it now, almost 60 years later, I imagine the photograph being rolled up and carefully tucked under someone’s arm on a crowded boat traveling across the Atlantic seas. It was then framed in the Bronx, not far from Ellis Island, the port where my grandfather immigrated alone, at seven years of age! All my grandparents traveled on the boat when they were very young. Three were immigrants from small villages (shtetls) in Lithuania. (Fiddler on the Roof, based on the stories by Shalom Aleichem, was an authentic representation of the villages in Eastern Europe.) My father’s generation was not allowed to talk about the old country, We are Americans, they were quickly corrected. They fled pogroms, the draft, and growing malignant anti-Semitism. As I researched the villages where my grandparents’ were born, I knew that thirty years later 95% of the Jews would be exterminated in Lithuania. When I imagined what could possibly motivate a mother to put her 7-10 year old child, a mere baby, on a boat never to be seen again… it was just unimaginable to me. What horror did they predict, and why? From what I read, it wasn’t just the Nazis that murdered Jews around World War II, but many Lithuanian collaborators joined in. It could be one’s barber, dentist, or middle school crush. Could these parents in the late 1800s possibly have predicted what would happen to their children thirty years later? What level of hatred must they have endured to anticipate this? And what did they imagine if they did not let them go? Were my grandparents actually protecting us by trying to erase their past and only look forward to their new American identity? The workshop led us through ancestral recovery, a necessary step for the collective shift in consciousness mentioned in Part One. If we go back far enough into our family histories, we can find our own indigenous roots. When I began to scrape together the few stories of my family from the old country, I uncovered lumberers and herbalists. I also uncovered the roots of social activism born out of religious and cultural persecution that I would label as heroism. With courage and perseverance, we can restore the disconnection caused by ancestral trauma, and begin to restore wholeness to our family lineage. I don’t mean to make this sound easy. I became so physically ill during this process that I wondered if I would survive the grief that was nearly more than this frail body could process. I did survive this life-changing process and will describe more in the Aftermath and Integration in my final essay of this series. Here is a gift to begin the integration process. I must express a disclaimer that jumping into forgiveness before processing all of the grief, in whatever form it needs to be expressed, only leads to more suffering. With Heart and Help I trust I will eventually be able to lighten my heaviness. But, hey, there are no guarantees, are there? In my essays, I like to be on the other side of the Great Grief and speak from there. Not true this time. For now, I will grieve and rage and sick it out, as I have done with all unimaginable catastrophes I’ve experienced through life. And I will await the shift that is ultimately sure to come and turn my worldview inside out, as most multigenerational or family constellation work does. And if I and my helpers have what it takes, healing will happen seven generations backward and forward. in celebration of you on the day of your birth. A month ago my hospice physician gave me surprising news that I would likely be around a while longer! I realized how I have been living week to week, hour to hour, injury to injury. I took a shallow breath, which is the best I can do, and thought – How do I want to live this more time? The answer was not forthcoming; sometimes just asking the question is more catalytic. A few days later, while trying to sleep, I slipped into a four hour riveting download. Downloads seem to happen more frequently during this end-of-life time. I believe we are continually receiving downloads, we just may not be aware of them. Our guides and loved ones on the other side are constantly trying to assist us. Sometimes my downloads involve life review and sometimes they are a direct transmission prompting healing that can take place while I am still embodied, should I be willing. These communications always leave me with tremendous gratitude, determination, and awe. Unlike my usual meditations or downloads, I was met by an Ascended Master (so I knew it was serious), as the quality of the input was clearly from that high of a frequency. I was riveted for four hours, hearing that the next stretch of my life will be about FIRE. Fire is neither an element I am comfortable with, nor is it easily accessible to my gentle soul, in this particular incarnation. 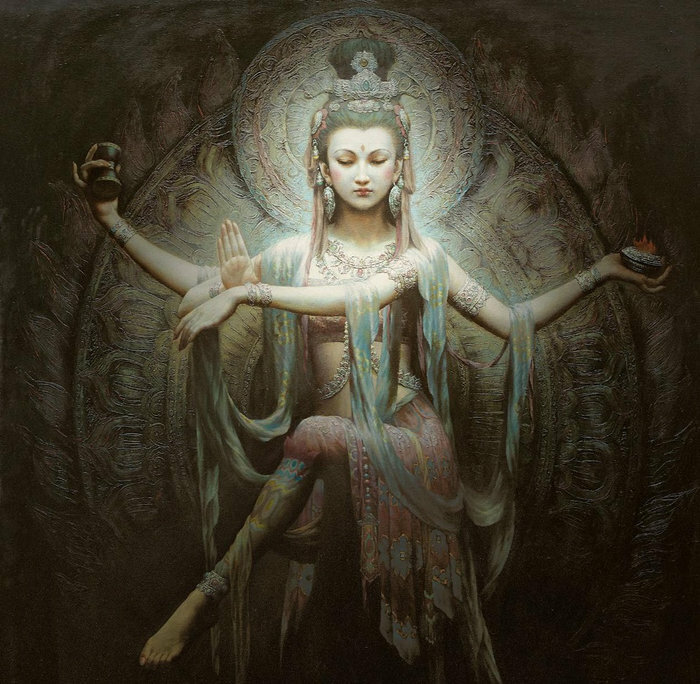 I understood that to embrace my fire, I had to go beyond my fear of disapproval from others and consciously enter the fire of eternal love, a fire that burns away the obstacles to fully embodying the Divine. I was about to publish my previous essay – The Shadow of My Shadow is My Friend – and I was told that that essay would be the beginning of this accelerated stretch. I knew that times were dire and the Sacred Feminine would be greatly needed to get us out of this mess we’ve created. We have recklessly squandered our inner and outer resources and, as I mentioned in my aforementioned essay, a critical mass of people would be necessary to restore Love from fear. It is heartening that She is emerging through #metoo, #blacklivesmatter, #neveragain, and other movements to bring violence out of the collective Shadow and into the light. The following day, after a brief contraction, I began receiving communications from many people that confirmed the veracity of the download. It is necessary that I have compassion for my contractions, because I need to take my ego along with me, as I am not yet free of this body curriculum. Then Allison, my dear friend and primary caregiver asked me if I wanted to join her in a workshop she was participating in titled White Awake – Before We Were White. I didn’t quite know what Before We Were White meant, but I knew that growing class inequality and racism were issues I have always felt deeply in my bones, connective tissue, and DNA. Participating in a workshop with hundreds of like-minded beloveds was something I believed was part of my past, however now video technology could bring it right into my living room. Although my voice was too weak to be audible, I had a visual presence and Allison generously offered to speak for me. The workshop spoke of colonialism and the resulting genocide of indigenous peoples perpetrated by white people. It dispelled myths, particularly our American origin myth and explained white privilege in a way I could deeply ingest. I was surprised to hear that the concept of whiteness and the power hierarchy of skin color was a strategy propagated during the 1600s. The purpose was to sew hatred and division by a few, intent on staying in power at any cost to the vulnerable. (Sound familiar?) The workshop was presented by white people to mostly white people in order to hold all of the grief, shame, and complicity necessary to create a collective shift in awareness. The shame turned into deep acknowledgment/responsibility which turned into empathy for all the victims including we white people, who have been so victimized that we ourselves have become victimizers! In keeping with my previous essay where I described the Karpman Drama Triangle as a destructive expression of conflict when it is unsafe to express our own authentic vulnerability, we assume one of the three faces of Victim – Victim, Perpetrator, or Rescuer. In the case where fear of other is stoked (xenaphobia) and we succumb to the fear, we risk becoming reduced to the role of Victim, either by being victimized or by doing the victimization. During my last essay, I described my consequential breathwork session where I was able to reach deeply into my unconscious Shadow and cathect the Nazi archetype. I found liberation by releasing this suppressed energy that had accrued over many lifetimes. Through this process I was able to understand white supremacy from the inside out. By dissecting the pathology of this distorted fire energy, it became less frightening as it is once again manifesting in the world today. I will conclude Part One now. During Part two, I will describe my own particular process of ancestral recovery and its importance to me. During the process I developed the flu and I wondered if I would survive the physical and emotional demands of this sort of recovery. I thought I was merely signing up for an interesting workshop. I now understand the power of ancestral relationships, family constellation theory, and the illness that can come from unresolved fractures. I also understand the liberation of healing this family multigenerational family structure. I request help from my ancestors to complete this two-part essay. Thank you for your continued support. May you realize how important your support has been to my process. We just never know how much we affect each other, do we?